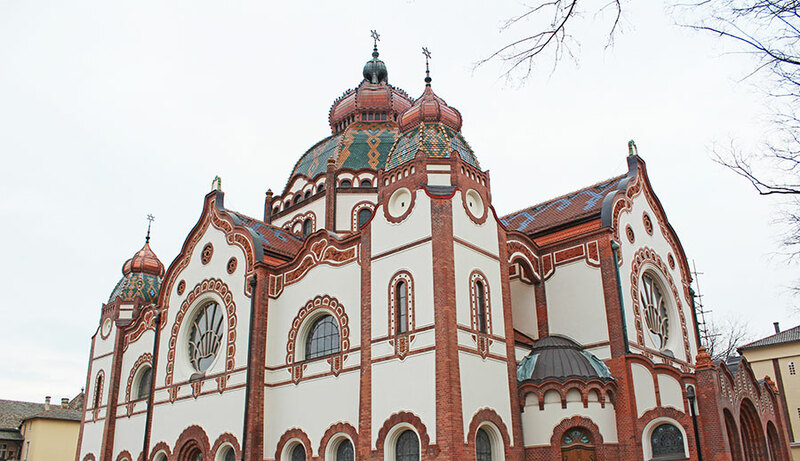 After several years of restoration, Subotica Synagogue has its old splendor back and it will, once again, function normally; the opening ceremony will be held at the beginning of next week. Built in 1902, the synagogue is considered a jewel of the Middle European cultural heritage. Built in the Hungarian Art Nouveau style, the synagogue is one of the most important achievements of that type of sacral architecture in Central Europe. After decades of deterioration, it was designated, in 2014, as one of the 7 most endangered cultural heritage sites in Europe. The World Monuments Fund had warned about the poor conditions of the building, several years earlier. The restoration of the synagogue began in 2013. with the funding from EU IPA Cross-border Co-operation Programme. The “DIAMOND – Jewels at the turn of the century – thematic rovings of the world of Art Nouveau” Project incorporated, besides the restoration of two wall fronts of the synagogue, the restoration of the Grof-palace in Szeged. The total value of the project was 344,787 Euros. Europian Union has funded 100,000 Euros towards the restoration of the synagogue which lasted from January 2013. until May 2014. The complete restoration of the synagogue, including the building’s interior, was carried out with the help of Serbian and Hungarian governments, as well as provincial and city governments. The restoration has been completed in late 2017. The Synagogue, one of the largest in Europe, is not only of religious, but also of great symbolic and educational value, bearing witness to the multiculturalism in Subotica and Vojvodina. The opening ceremony is being held during the European Year of Cultural Heritage, which is celebrated under the banner “Our Heritage: Where the past meets the future.” EU Delegation to Serbia joined the commemoration, organizing a cultural heritage campaign. Information are available on the campaign web page http://euinfo.rs/evropska-godina-kulturnog-nasledja/.